Joe Donelan was a paper executive who believed in the power of reinvention. Like many successful people, he traveled in California and France and fell in love with wine---not wine by itself, but the culinary universe that accompanied it, along with the fellowship and bonhomie that wine culture inspired. That passion eventually caused him to actualize his belief in reinvention and pursue a career in the field. In 2000 Donelan joined forces with Pax Mahle to create Pax Wine Cellars, a venture dedicated to making Syrah from cool-climate vineyards in Sonoma and Mendocino. The brand was successful, but we can infer that the venture was not a happy one. The Pax website refers to “a rift in partner relations” and “a lengthy legal battle” before the company was dissolved in 2008. 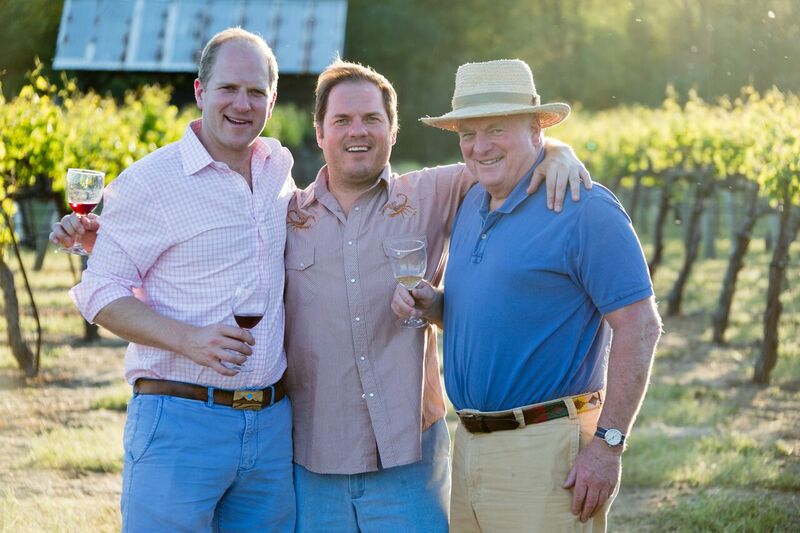 The following year, Joe founded Donelan Family Wines with his two sons, Tripp and Cushing. Compared to Pax, the Donelan website is full of cheerful optimism. We’re told that “Wine is a journey, not a destination” (a motto repeated on every wine label), and reminded that Joe took “the road less traveled.” It adds up to a distinctly Irish/Buddhist approach to the wine business. On a more concrete level, the Donelans are passionate believers in terroir. Joe feels that he is a steward of the land, and that vineyard selection ultimately trumps everything else. Irish Buddhism aside, it’s a very European philosophy that wine is made in the vineyard, and the job of the winemaker is not to screw up nature’s bounty. Donelan Family wines is primarily dedicated to making Rhone-style blends, as well as Chardonnay and Pinot Noir on the Burgundy model. The operation is based in Santa Rosa, but fruit is sourced from cool-climate vineyards throughout Sonoma County; the Donelans now Obsidian (Knights Valley), and draw fruit from Richards Family (Sonoma Valley), Kobler (Green Valley/Russian River) and Walker Vine Hill (Russian River). A total of 15 wines are produced, and 80% of the output is sold through a mailing list, but there’s enough available for key restaurants and retail shops. 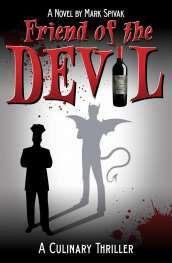 Their business model deviates sharply from the standard California winery of 2017; in that equation, Cabernet and Chardonnay are the meat and potatoes, accompanied by a side dish of horseradish (Pinot Noir and/or Rhone blends) for the adventurous individual who might stumble upon the property at random. The Donelan wines are subtle, elegant and complex, yet very pleasurable to drink. 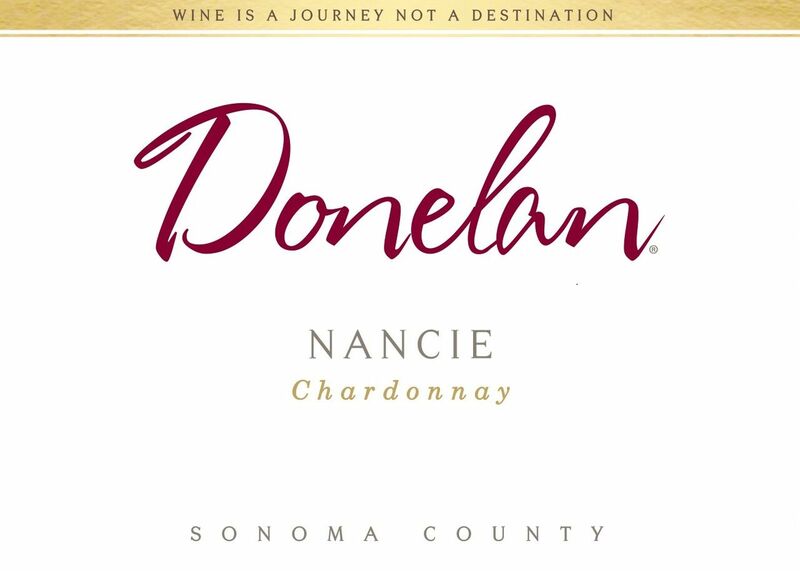 The 2013 Nancie Chardonnay ($52, 1620 cases produced) has a seductive nose with aromas of citrus and tart green apple, along with strong evidence of acidity. The wine is medium to full-bodied in the mouth, delivering all the acid promised on the nose; flavors of Meyer lemon and vanilla mix with an intriguing edge of spice, and hints of cinnamon keep poking up through the citrus. The texture is creamy, the mouth feel is opulent and distinctive, and the wine is exceedingly complex: just when you think you have it figured out, it offers up another facet of itself. The finish is exceptional: long, rich and resonant, with echoes of spice and vanilla. Two Brothers Pinot Noir 2012 ($60, 1942 cases made), from the North Coast, is named for Tripp and Cushing Donelan---directors of sales and marketing, respectively. The nose offers a range of pleasant earth notes, with enticing aromas of dark berries mingling with whiffs of forest undergrowth. It’s light and pleasant on entry, but expands quickly in the mid palate to reveal flavors of black raspberry, rhubarb and red cherry. The texture is feather-light and the mouth feel is graceful---despite an alcohol level of 14.2%, there’s no suggestion of heat. The finish is just as elegant as the wine itself, filled with resonating flavors of red and black berries. 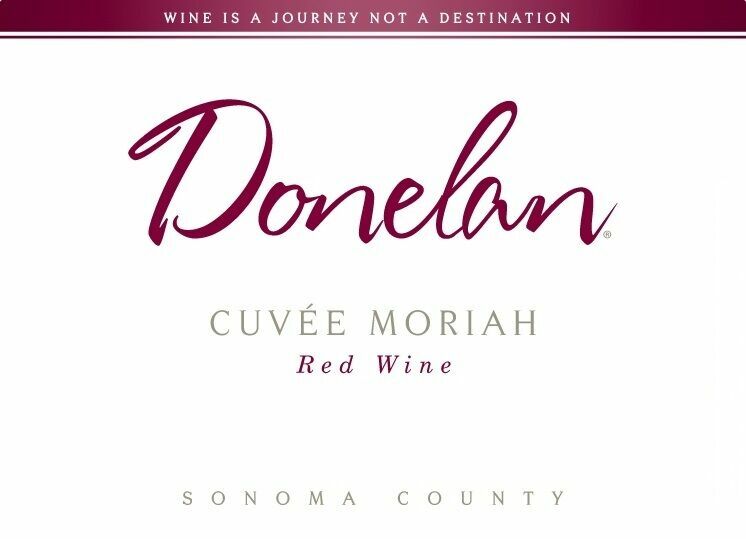 On the Rhone side, the 2012 Cuvée Moriah is a blend of 64% Grenache, 24% Mourvedre and 12% Syrah. The nose reveals rich aromas of black raspberry, leather, black pepper and bramble. In what seems to be the Donelan signature, the wine starts out as smooth and full-bodied but expands significantly in the mid palate with mineral-infused flavors of tart black fruits, amplified by good acidity. Balance is the key element here: fruit, tannin and acidity complement each other as the wine builds toward the finish, which is dramatic and persistent.